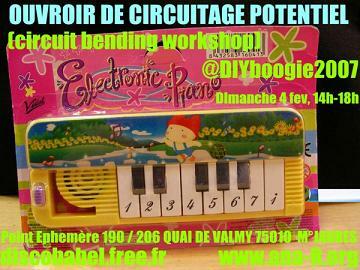 Ana-R.Org is hosting a circuit bending workshop this time in Paris, France on Feb 4th between 2 and 6PM. More info. I’m also testing out a new GetLoFi.com Events feature on the sidebar. Posts are categorized as events are automatically added so everyone can remember when things are coming up in their area!